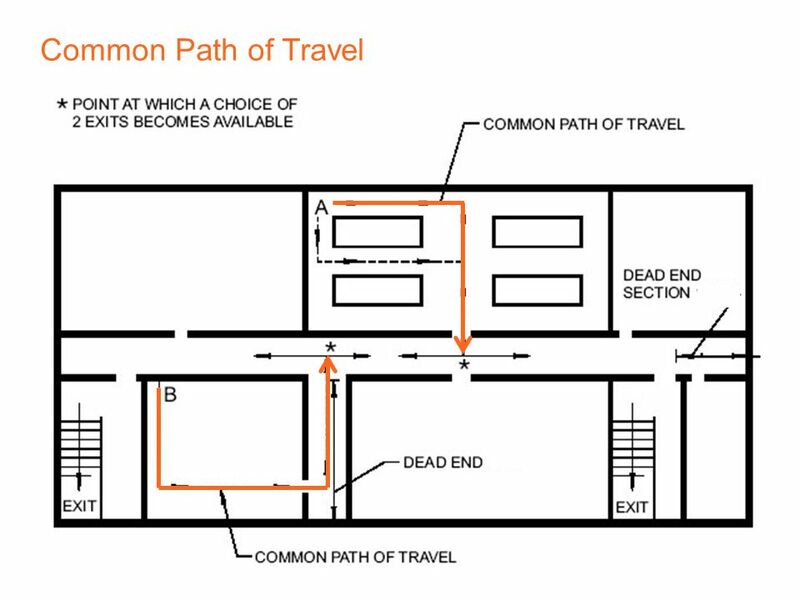 Common Path of Travel is defined as “that portion of the exit access which the occupants are required to traverse before two separate and distinct paths of egress travel to two exits are available”. Because the code requires a minimum of two exit paths from a building, as a person exits a space they will come to a point where they can go one direction to get to one exit or another direction to get to a different exit. The distance traveled from any point within a space to this diverging point is the Common Path of Travel.